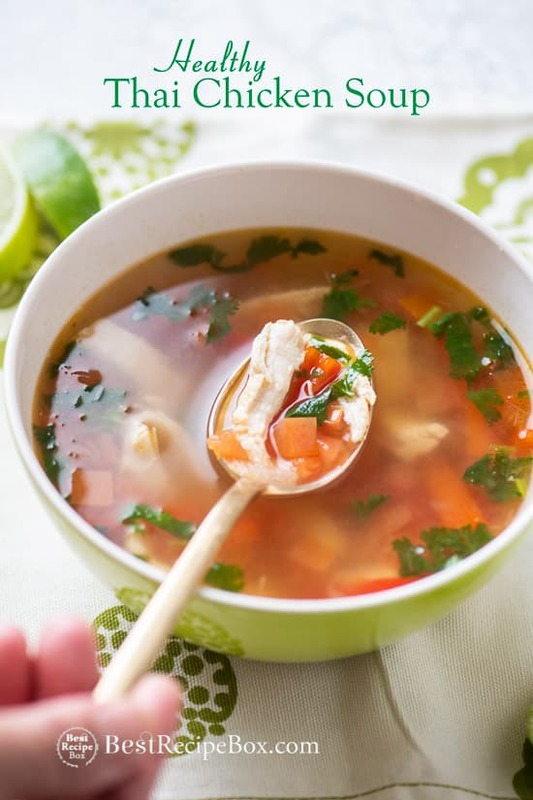 This healthy thai chicken soup recipe is delicious. But you can customize the spice level to make it what you want! The best thing about Thai soups are that they have a combination of spicy hot and sour flavors. It’s exciting on the palate to taste both the hot of chiles and the sour of lime juice. 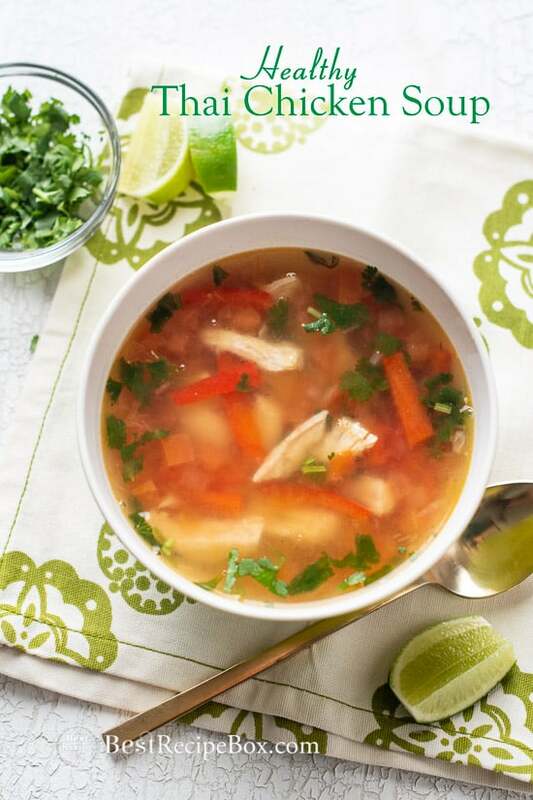 The contrast of spice and bright citrus makes this a great hot and sour chicken soup recipe. And best of all, it’s a very healthy thai chicken soup recipe with Asian inspired flavors to make ahead of time. 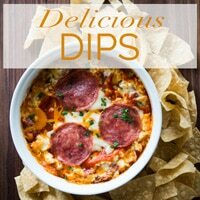 The flavors actually taste better the next day after they’ve been able to settle in. When you re-heat it up, just add more fresh lime juice, fish sauce or chili peppers to amp up your favorite flavors. 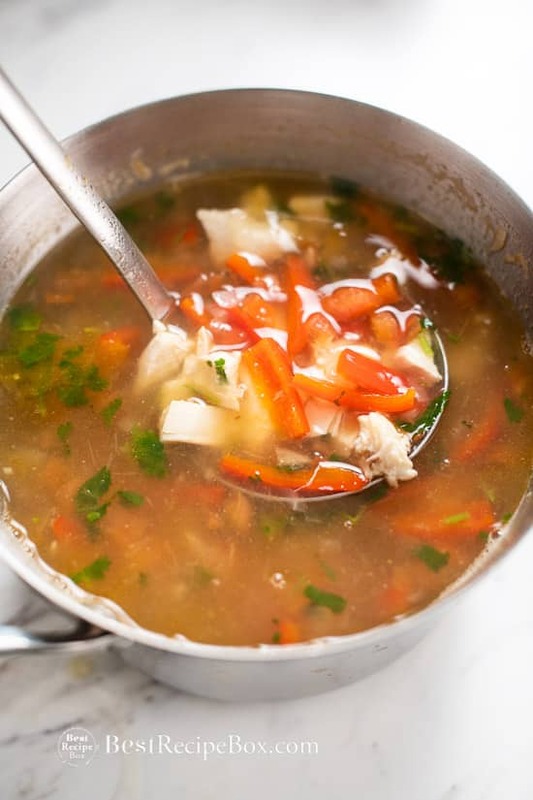 This Thai chicken soup recipe is perfect to adjust to your personal taste and level of hot and sour. Serve this hot and sour Thai chicken soup with rice or a side of noodles. 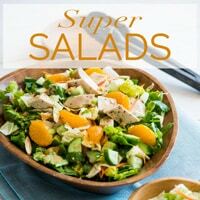 To make this meal for chicken soup healthy, you can use chicken breast. 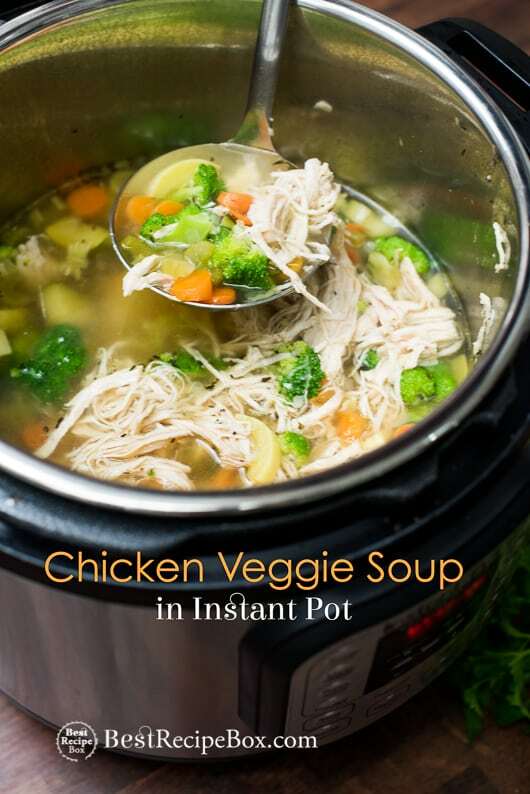 But chicken dark meat adds extra flavor and depth to the soup base. 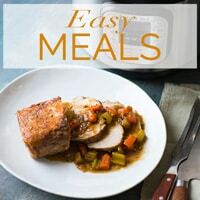 The recipe also uses leftover chicken and it’s perfect to make when you have leftover chicken from roast chicken. 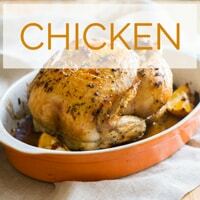 If you want to use cooked chicken breast, then here’s recipes for poached chicken or oven baked chicken . 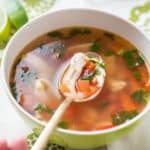 If you want to use raw chicken, then just cut up the chicken breast or thigh meat into bite sized pieces and cook them before you add the broth and the rest of the healthy thai chicken soup recipe that follows. 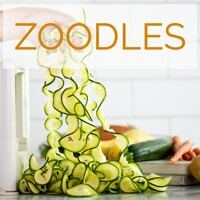 This recipe was originally published in 2013 and re-published in 2019 with new photos and video. Customize the flavors to your personal preference. The heat and sour level is what ever you want! Heat pot on medium high heat. Add oil and once oil is hot, add onion and garlic. Cook until translucent. Add cooked chicken breast, fresh ginger and fish sauce. Stir and cook the soup for about 1 minute until everything is fragrant. Add chicken stock, Kaffir lime leaf, lemongrass, bell pepper, tomatoes, and chili pepper. Bring the soup to a boil, then simmer on low for about 5 minutes. Remove from heat and add the fresh lime juice right before serving. 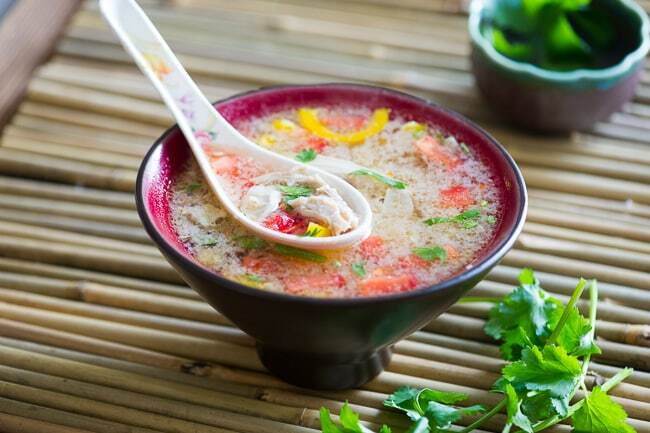 Adjust the soup to your personal taste by adding additional salt or fish sauce. Garnish with chopped cilantro. Enjoy! Note 1: Different brands of fish sauce have different levels of saltiness, so adjust accordingly. Taste the broth and if you want the soup more salty, add more fish sauce. Or add more water to make it less salty. Note 2: If you want the soup more spicy, add more chili peppers and if you want it more sour, add more fresh lime juice. 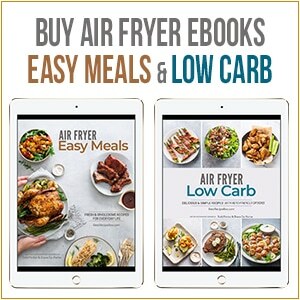 This is perfect for my low carb diet! And it is SO tasty! I love it! We’re happy you enjoyed it! 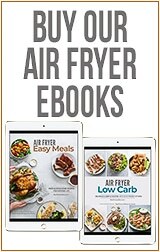 And so glad it’s great for your low carb lifestyle!